With almost 6,000 entries from numerous authors, this work is properly considered a single-volume Biblical encyclopedia. James Hastings (1852-1922) was a Scottish Presbyterian minister and founding editor of the Expository Times journal. 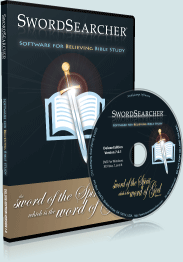 As with other Bible dictionaries in SwordSearcher, all of the verse references are linked and optionally available right in the Bible margin, or by Verse Guide lookup. The entries in the dictionary can be accessed by title and the entire book can be searched by word or phrase. The Dictionary had a unique method of abbreviating scripture references and many common terms to save printing space. This digital edition of the text expands the abbreviations and links the verse references for much easier use. 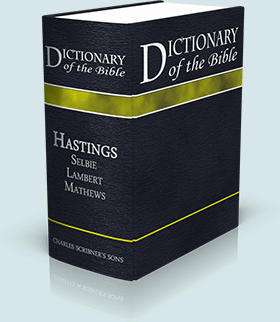 The Editor’s aim has been to provide a complete and independent Dictionary of the Bible in a single volume and abreast of present-day scholarship. 1. Complete.—The Dictionary gives an account of all the contents of the Bible, the articles being as numerous as in the largest dictionaries, but written to a different scale. The Index of the Dictionary of the Bible in five volumes by the same Editor has been taken as basis, and such additions made to it as the latest research has suggested. The persons, places, and important events in the Bible are described. There are articles on the Biblical theology and ethics, on the antiquities, and on the languages—English as well as Hebrew and Greek. The books of the Bible are carefully explained in their origin, authorship, and contents; and full account is taken of the results of literary criticism and archeological discovery. 2. Independent.—The Dictionary is not a condensation of the five-volume Dictionary. It is not based upon it or upon any other dictionary. It is a new and independent work. All the signed, and most of the unsigned, articles are written afresh, and (with few exceptions) by different authors from those who treated the same subjects in the larger Dictionary. Even when the wording of the large Dictionary has been retained, as in the case, for example, of proper names of minor importance, every statement has been verified anew. The single-volume Dictionary will thus be found as fresh and full of life as the largest dictionaries are. 3. In a single volume.—This is to bring the contents of the Bible, in accordance with present scholarship, within reach of those who have not the means to buy or the knowledge to use the Dictionary in five volumes. This Dictionary contains no Hebrew or Greek except in transliteration. It is however, a large volume, and it would have been larger had not the utmost care been taken to prevent overlapping. For the great subjects are not treated with that excessive brevity which makes single-volume dictionaries often so disappointing. The space has been so carefully husbanded that it has been found possible to allow 24 pages to the article on Israel; 23 pages to the article on Jesus Christ; and half that number to a further article on the Person of Christ. There is another way in which space has been saved. The whole subject of Magic Divination and Sorcery, for example, has been dealt with in a single article. That article includes many sub-topics, each of which is found in its own place, with a cross-reference to this comprehensive article; and when the word occurs in this article it is printed in black type, so that no time may be lost in searching for it. 4. Abreast of present Scholarship.—That is to say, of the average scholarship of its day. There are many reasons why a Dictionary of the Bible should not take up an extreme position on either side. But the reason which has proved to be most conclusive, is the impossibility of getting the whole of the work done satisfactorily by either very advanced or very conservative scholars. They are not numerous enough. And there could be no satisfaction in entrusting work to men who were chosen for any other reason than their knowledge of the subject.